Join me for an Introduction to Aerial Yoga. 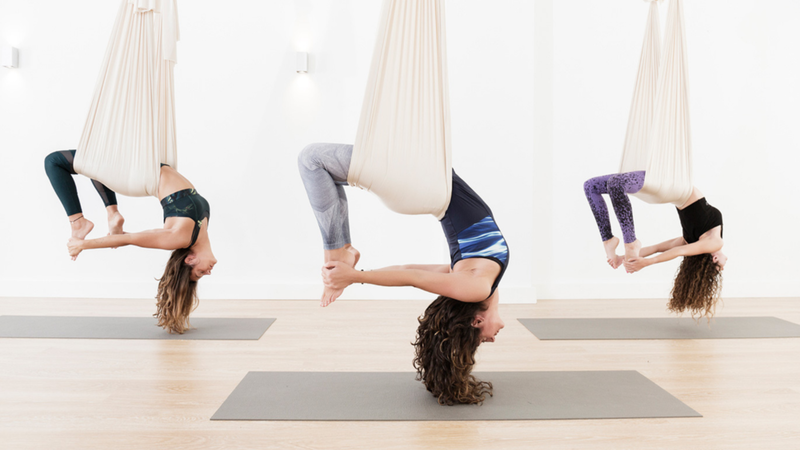 In this workshop I will offer authentic yoga, with the support of a soft, aerial fabric hammock suspended from the ceiling — to explore, refine, and advance traditional yoga poses (asanas), both in the air and on the ground. Strength, Mobility and Flexibility combine together in this revolutionary practice. Uniquely developed for beginners through all levels of experience. Escape the world outside suspended in a super strong, silky hammock that envelops your body like a protective cocoon.